The Central Information Commission (CIC) in Samrat Sharma, Roorkee v. PIO, Hemwati Nandan Bahuguna Garhwal University, Srinagar, has held that no person or a public servant who has made a disclosure under the Whistleblowers Protection Act, 2014, can be victimised by initiation of any proceedings against him or otherwise merely on the ground that such person or a public servant had made a disclosure or rendered assistance in inquiry under. The decision pronounced by Prof M Sridhar Acharyulu held that the Act offers protection to the persons making disclosure in terms of its sections 11(1) and (2) and thus, it casts a duty upon the Central Government to ensure the safety of people making such disclosures. In this case, appellant Samrat Sharma had filed seeking information about action taken on his complaints alleging his unjustifiable suspension after he exposed the irregularities in the expenditure of fund/ misappropriation of Rs. 4 lakh in Hindi department of BSMPG College, Roorkee etc. Sharma claimed that he exposed embezzlement in the government-aided college, because of which he was wrongfully suspended and asked under what clause of law he was suspended. According to Sharma, the PIO and the investigating officer supported the management and did not question the continuation of suspension beyond four weeks though it was illegal, because of which the management got emboldened to terminate him. He stated that he could have been reinstated had the PIO and the investigating officer responded within time and acted as per law. The commission emphasised upon the fact that any quasi-judicial decision should be disclosed under section 4(1)(b) of the RTI Act, which was not done by the university and the college. 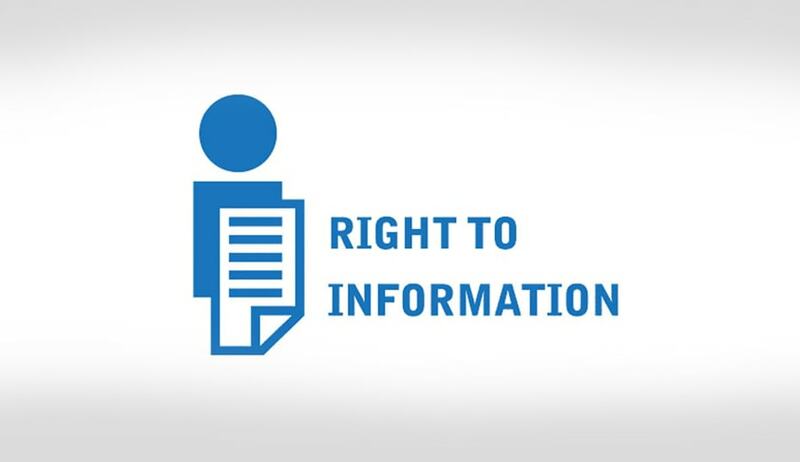 The RTI is a tool for fighting against corruption and inaction that facilitates corruption. The commission noted that it appeared as if the authorities facilitated embezzlement by inaction and hence, both university and college authorities should be accountable and answerable. The CIC opined that Sharma had every right to know how public funds are allocated in the college and report any act of corruption to competent authority/college management, which should have appreciated his anti-corruption concerns and should have inquired. Instead of providing adequate safeguards against victimisation, he was penalised for exposing corruption. Prof Acharyulu, speaking for the commission, reasserted that the risk of corruption is considerably high in environments where the reporting of wrongdoing is not supported or sheltered and whistle-blower is threatened. Providing effectual shield for whistleblowers supports an open and transparent organisational culture where workforce is not only conscious of how to report in good faith but also have self-confidence in the reporting procedures using RTI, accessing wrongs and exposing suspected acts of corruption and other wrongdoing is therefore integral to efforts to combat corruption, safeguard integrity, develop accountability, and support untainted public dealing. The commission held that the Vice-Chancellor of university and the college management, being a competent authority in this case, had a statutory duty to explain what they did to protect whistle blower Sharma and should have inquired into the alleged illegal dismissal, if they were indeed sincere in opposing embezzlement. Thus, the CIC directed the Vice-Chancellor and Registrar of the university to inform Sharma what action was taken on his complaint, and on the report of Accountant-General exposing the embezzlement, and protection they offered to him. Further, the commission directed the PIO, Vice-Chancellor and the Registrar of the University considering them as deemed PIOs, to show cause why penalty proceedings should not be initiated against them for obstructing the information to be given to Sharma, within 21 days, failing which the Commission will be compelled to take strict measures to enforce their presence or draw adverse inferences.